The introduction of Hatchimals collectibles, which are currently selling out across the US, helped to drive Spin Master's growth spurt. Toronto, Canada-based toy and entertainment company Spin Master’s Q3 revenue rose by 22.8% to US$475 million from US$386.8 million in the third quarter of 2015. Excluding Cardinal Industries, which Spin Master acquired in Q4 2015, the company’s revenue grew by 11.7%. 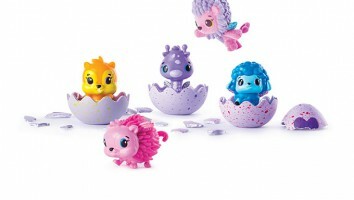 Spin Master’s introduction of its new Hatchimals toys and its entry into the outdoor and sports toys category with the US$85-million acquisition of Swimways Corporation contributed to the growth. Hatchimals—the eggs that hatch and reveal their inner colorful animals to their caretakers—have been successful with a number of shipments already selling out in anticipation of the holiday season. Hatchimals has also been named on a number of holiday must-have lists, and Spin Master is upping their production in an effort to meet the demand. 2016 Q3 gross product sales increased by 18% to US$518.6 million, up from US$439.5 million last year. Excluding Cardinal, gross product sales grew by 7.7% overall and increased by 47.3% in Europe, by 12.3% in North America and by 21.1% in the rest of the world. Spin Master’s Q3 net income was US$83.3 million, compared to US$51.1 million in Q3 2015. The company’s Adjusted EBITDA margins were down from 30.7% in Q3 2015 to 28.1% due to lower gross margins, acquisition costs and increased distribution costs. In terms of category sales, boys action and high-tech construction fell by 37.8% to US$59.2 million. Preschool and girls, however, showed significant growth in gross product sales, rising by 37.4% to US$181.2 million. Additionally, activities, games & puzzles and fun furniture sales rose by an impressive 67.7% to US$125 million. 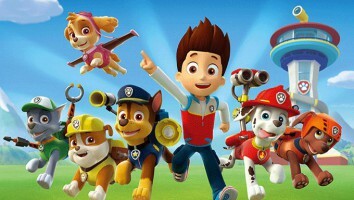 Considering Spin Master’s recent success, and the continuing momentum of properties like Hatchimals, the company now expects gross product sales growth to be slightly higher than the guidance provided in its 2016 Q2 results, which anticipated growth in the high teens relative to 2015.